Do you love words? 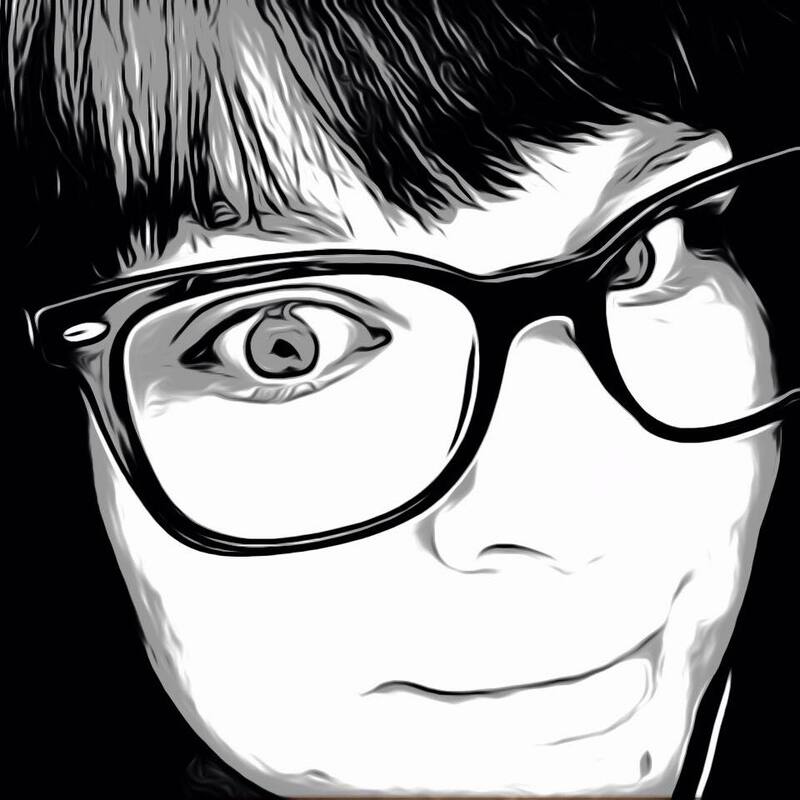 Is vocabulary your thing? Are you master of the jumble puzzle? Then you may be a Wordhedron pro. Combine your vocabulary and perceptual skills to find words on 3D polyhedron shapes. Slide your finger in any direction to rotate the shape and tap to select adjacent letters on the shape to form words. Make as many words as you can within the time limit. Letters are randomly generated which makes every game unique and challenging! • A 3D word game using complex polyhedron shapes. • Beat the clock, make as many words as you can within the time limit. • Letters are randomly generated so every game is unique! 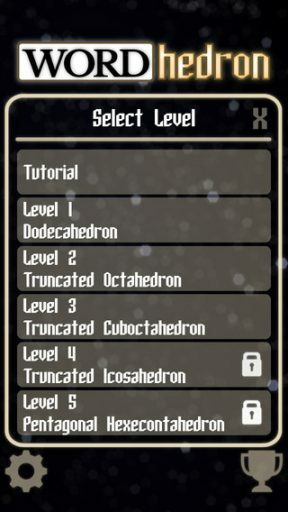 • Unlock shapes by completing achievements. • Best Records: Track your performance and compare with friends. * Introducing an all new rank system! Return to all your favorite shapes and tackle new goals in order to climb the ranks to Master for each level. To play Wordhedron, tap letters that are adjacent to one another to form a word. Roll the die by sliding your finger on the screen to see more of the letters. The letters you have already highlighted will stay on the screen above the die. The quicker you roll that die and the more words you enter the more your skill will increase. Complete achievements such as creating 200 words in level 1 or a six letter word to unlock levels. As levels are unlocked the difficulty increases with more sides and letters added to your die, level 5 being a pentagonal hexecontahedron. The design is simple: main screen then hit the play button. There are a few settings like turning off the sound and music. You can even adjust the speed of the rotation in the pause menu. One thing I would have liked to see is a restart button in the pause menu. If I want to restart my game I have to pause and go back to the menu to press play. One thing is for sure, Wordhedron is challenging and that time ticks fast. Even three-letter words are hard to come by when you are under the pressure. With letters randomly generated, the play is endless and boredom no where in sight. 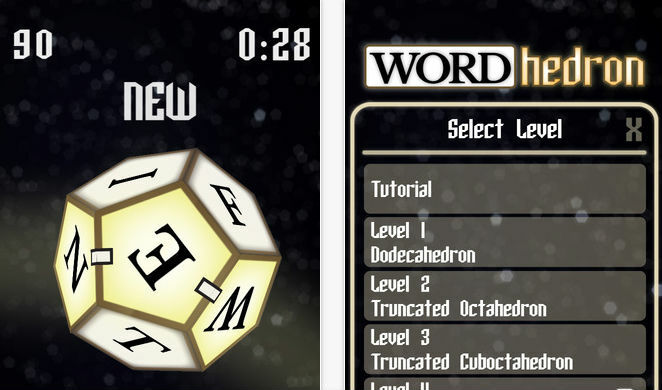 Wordhedron is available in the App Store now for $0.99 and is compatible with iPhone, iPad and iPod Touch.